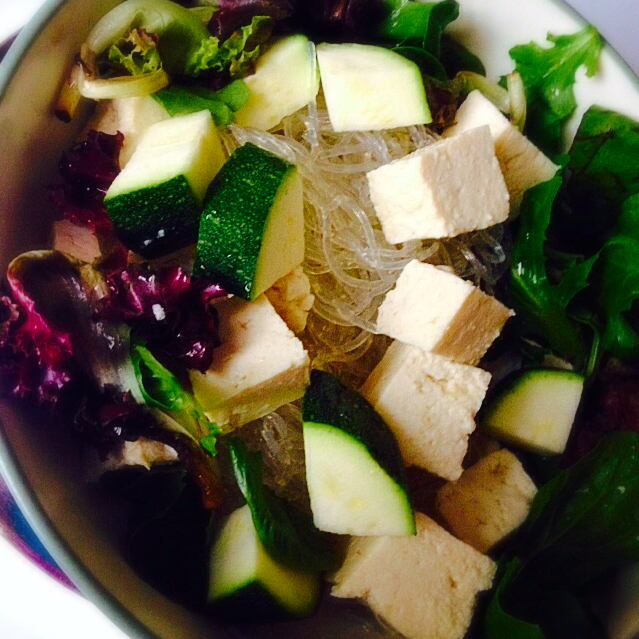 Glass noodles with fresh greens and creamy goddess dressing. 1. Rinse noodles and greens and set aside in a bowl. 2. Add zucchini (carrot if using) and tofu. 3. Top with dressing and enjoy! 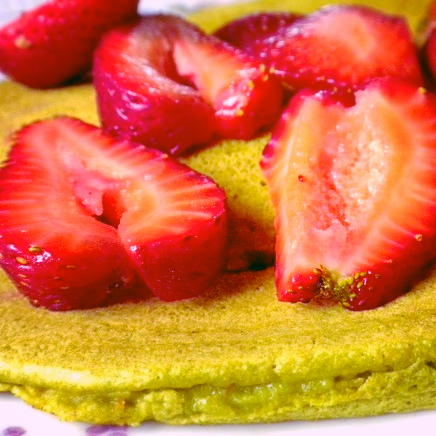 Green tea crepes topped with fresh strawberries and coconut whipped cream. 2. Whisk in milk until combined. 3. Heat a little coconut oil in a skillet. Scoop 1/3 cup of batter onto skillet, spreading it out with a spoon. 4. Cook on medium heat for 1 minute or so. Flip and cook for another 30 seconds. 5. Hull and slice your strawberries. 6. Top crepes with strawberries and whipped cream or a scoop of strawberry ice cream for dessert! 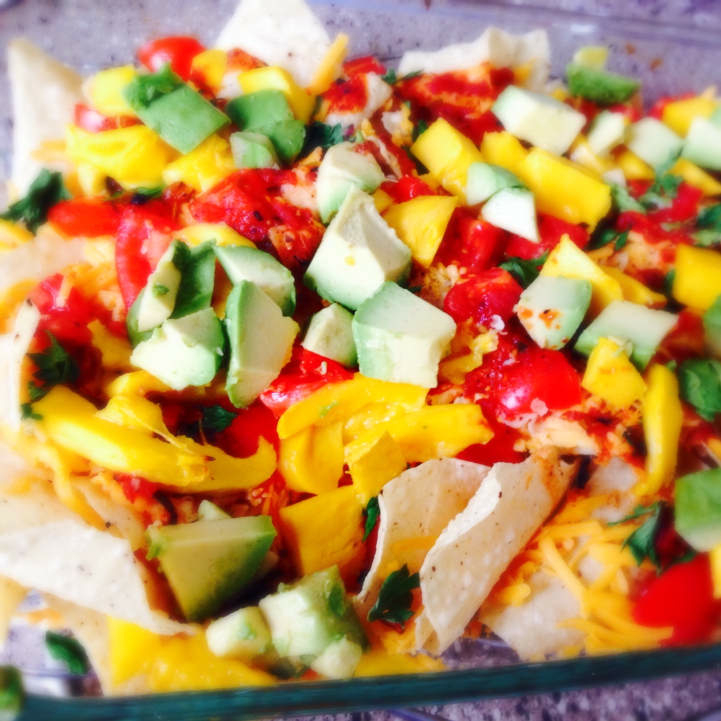 White corn tortilla chips topped with fresh mango, avocado, and creamy vegan cheddar. 2. Layer chips, cheese and tomatoes in casserole dish. 3. Bake for 10 minutes or until cheese is melted. 4. Let cool for 5 minutes. 5. Top with mango, avocado, cilantro and salsa. 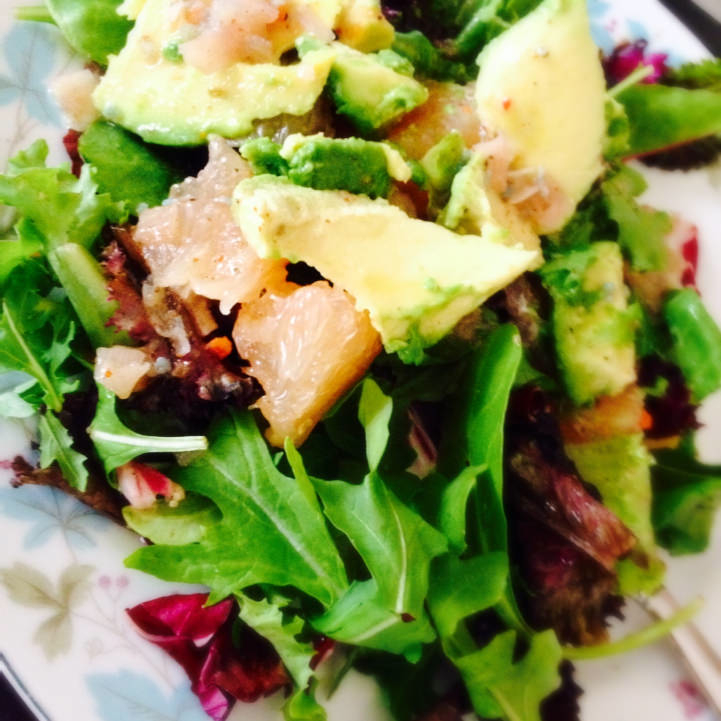 A hearty and delicious salad with sweet grapefruit and avocado tossed in a handmade citrus dressing. 1. Saute garlic and shallot with balsamic vinegar until fragrant. Set aside. 2. Lay greens, avocado and grapefruit on serving plate. 3. Whisk dressing ingredients together and mix in garlic and shallot. 4. Drizzle dressing on top of salad. 5. Garnish with toasted pine nuts or walnuts if desired.